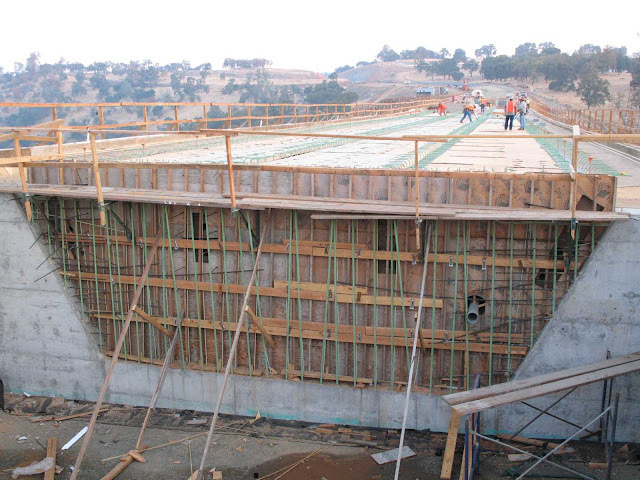 Some photos taken during the construction of Sutter Creek Bridge. In the photo above, they are assembling the falsework that will be used to support the formwork for the concrete superstructure. 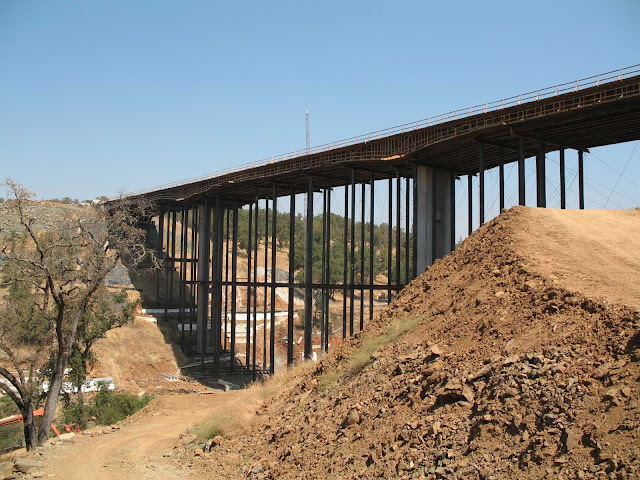 Contractors have slowly built up a large supply of forms and falsework that have made cast-in-place concrete bridges the most economical type of bridge that is built in California. The photo above shows the collapsed falsework that occurred while they were building the forms. 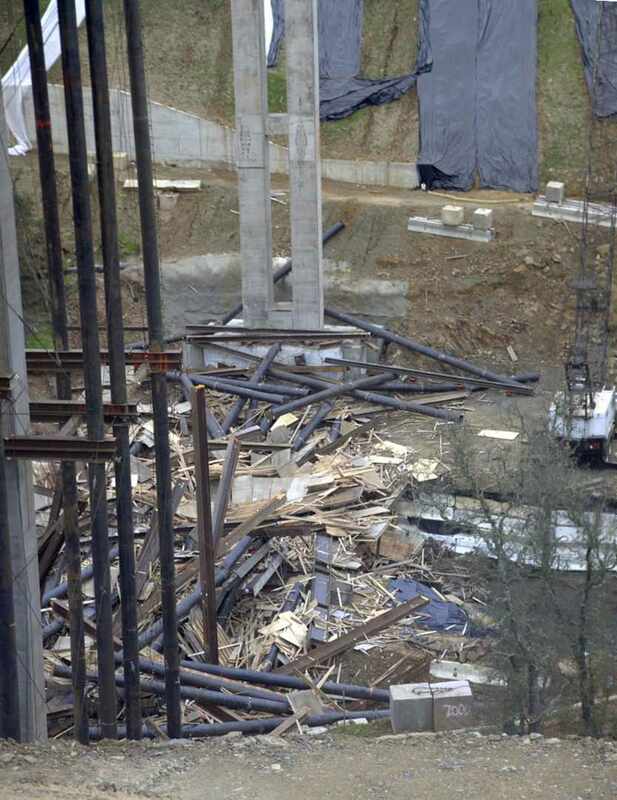 Fortunately, no one was hurt and they were able to reassemble the falsework with little delay. A photo of the completely assembled falsework and formwork taken on September 12, 2006 (over a year after construction began). A temporary steel structure is built around the piers to support the wet concrete. Once the concrete is hardened and the tendons are stressed this temporary structure can be removed and used to build another bridge. A photo of the completed the stem and soffit pour and workers getting ready to pour the bridge deck. The abutment backwall won't be built until after the deck is poured, the girder tendons are stressed, and the ducts are grouted. They placed epoxy coated rebar on this bridge, which seems strange since we aren't near the ocean or in a snowy region. Amador County, California Bridges: State Route 49 across Sutter Creek (4) by Mark Yashinsky is licensed under a Creative Commons Attribution 3.0 Unported License.